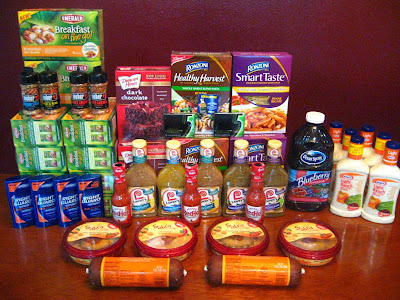 52 Weeks of Coupons: Pictures to Live By: Albertson's Double Deals - Lots of Freebies! Albertson's Double Deals - Lots of Freebies! I am loving the doubler deals at Albertson's! 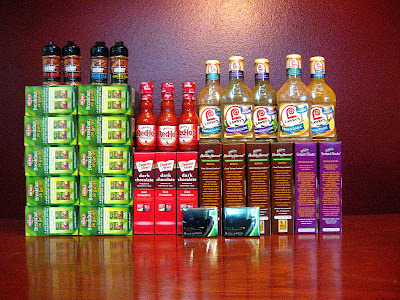 Tons of freebies and great deals, plus both stores I went to had really good stock! On top of that, I had no problem doing 3 consecutive transactions, then putting the groceries in the car and coming back in to do 3 more (loving this because its a huge save on gas)! If you are new to to doublers, check out this post from The Coupon Project. Also, make sure to print off Albertson's coupon policy and the newly-released Twice the Value coupon (aka doublers) policy here. It's a good idea to put the policies in your coupon binder/box/purse, etc. and bring it with you to the store, just in case you run into problems! * No doubler required for the Garden Delight! * Receive a bonus game piece for this item! All that is pictured above was free! Pretty sure I've never gotten this many free groceries in one day before, it was so much fun watching those totals come to zero! I have also heard it confirmed that we will indeed have doublers next weekend, for the third week in a row!! Shopping becomes more interesting when we get lots of amazing deals and offers. Thanks for sharing this astounding information. Right now i found another great deal on Food. Check it out in the following.